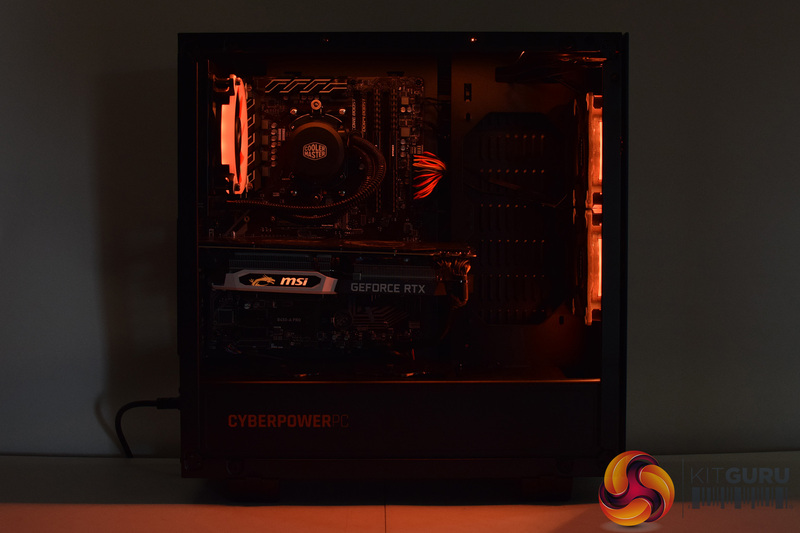 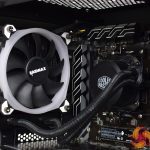 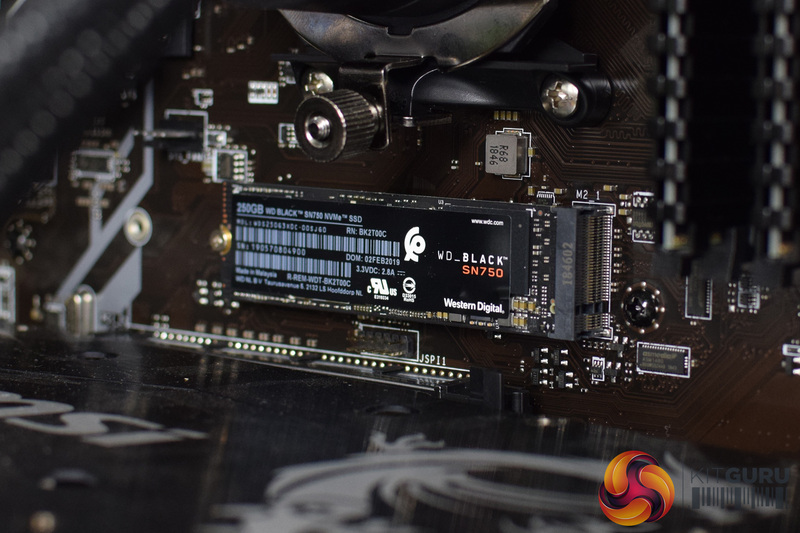 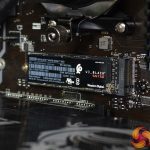 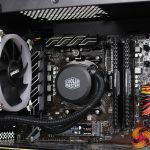 Today we are back with another pre-built system review, this time from Cyberpower. 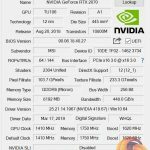 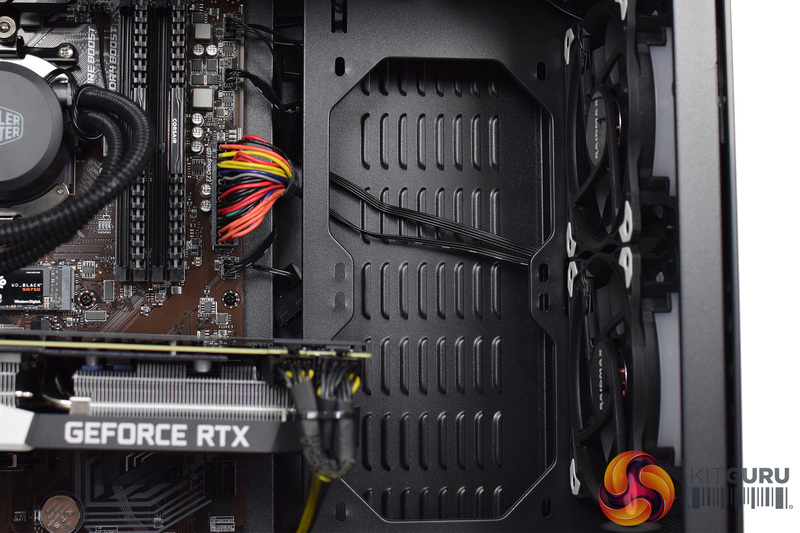 The PC in question is named the Ultra 7 RTX, with the latter part of the name referencing the RTX 2070 graphics card used in the system. 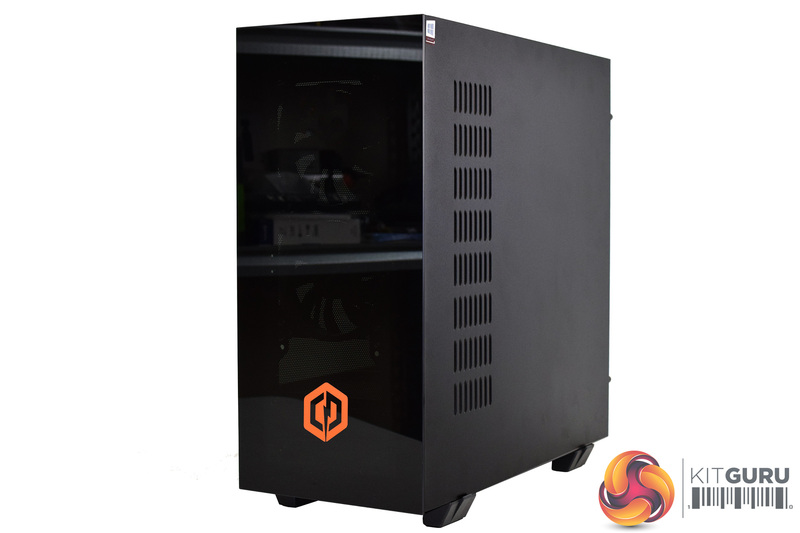 Alongside that, there is an 8-core Ryzen 7 2700X CPU with 16GB DDR4 memory, while storage is provided by a 250GB NVMe SSD and 2TB hard drive. 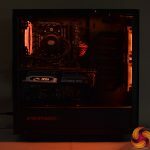 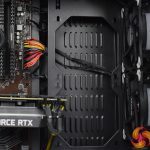 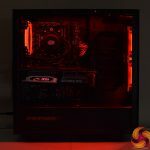 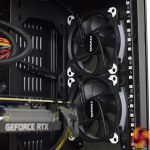 Priced at £1349 it’s not a budget build, but nor is it especially high-end – is the Ultra 7 RTX worth buying? 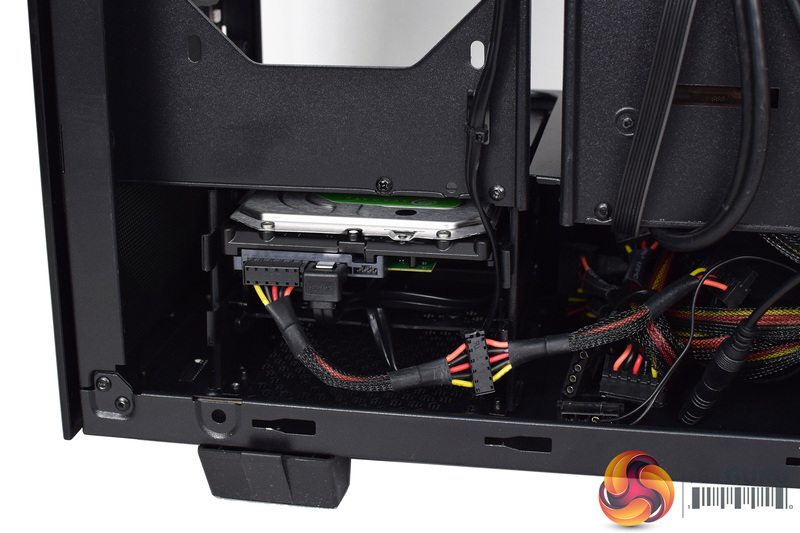 Coming to the system and overall build, there’s a few things to point out in regards to the component selection and the assembly of this system. The first thing to look at is the case – the Cyberpower Onyxia. 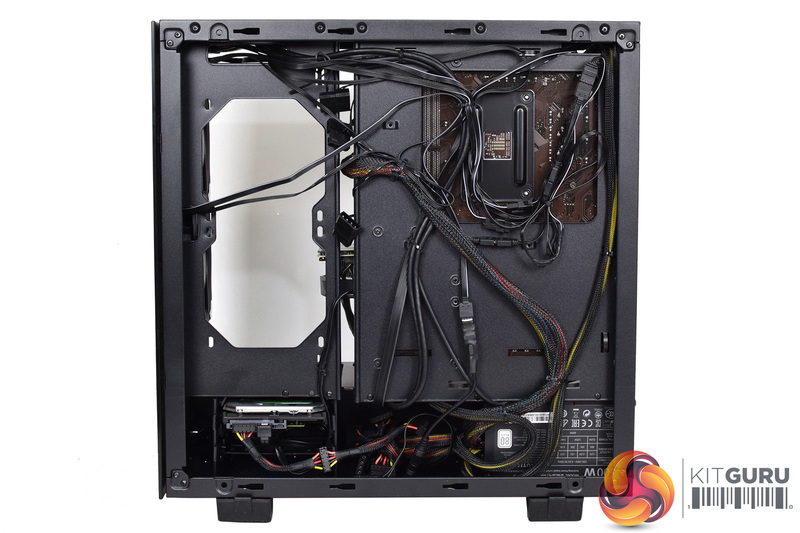 It’s a relatively standard ATX case, with glass panels on both the front and the left-hand side. 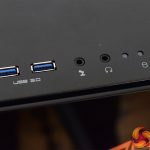 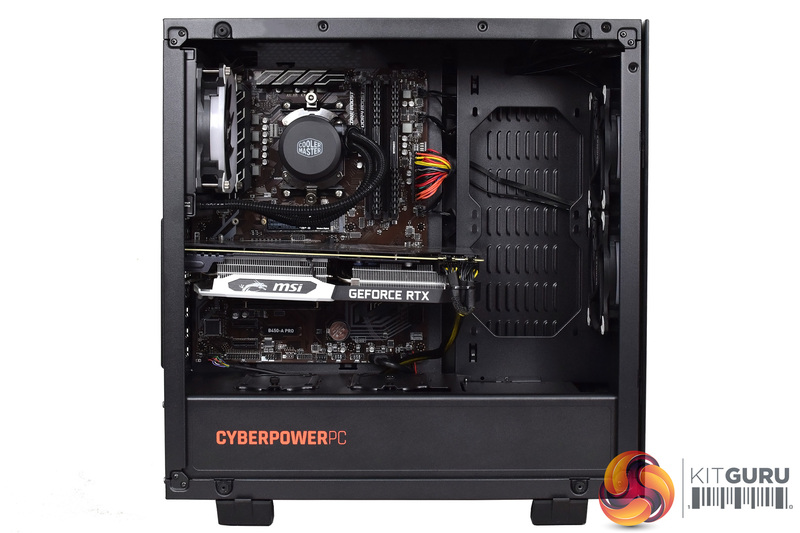 The first thing I noticed about it, however, is that is probably a bit big for this particular build – it’s not a massive case by any means, but if you look at the images above, you will note there is quite a lot of empty space between the front panel and the motherboard. 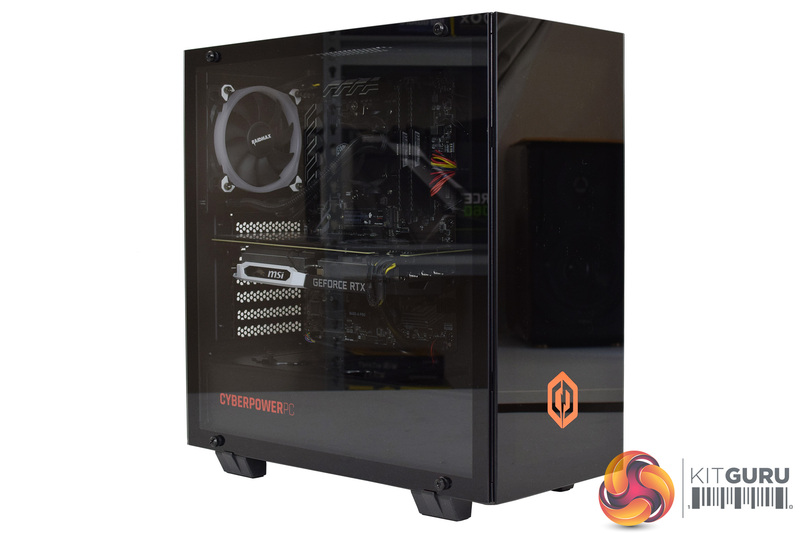 More importantly, the glass front panel sits very close to the main body of the case – which can only restrict airflow. 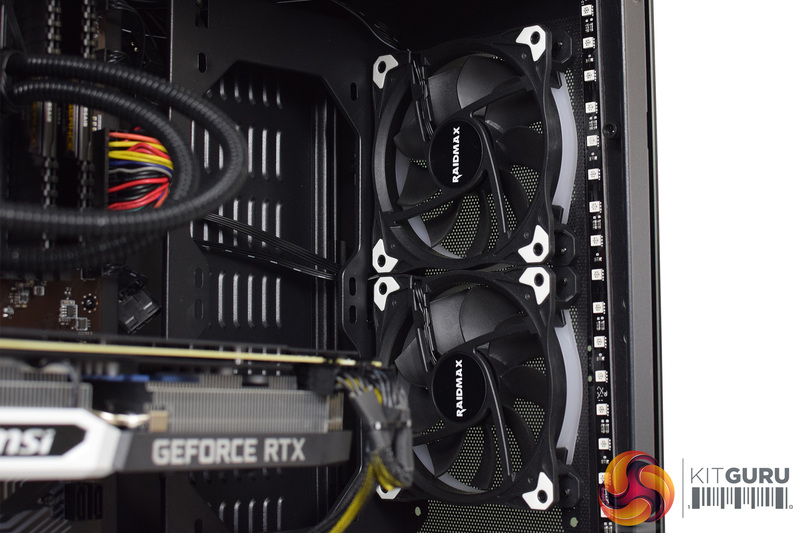 By my measurements, there is just a 4mm gap between the solid glass front panel and the steel chassis, and that’s it – there’s no other meshed or ventilated sections, all the intake air has to come through that small gap around the front panel. 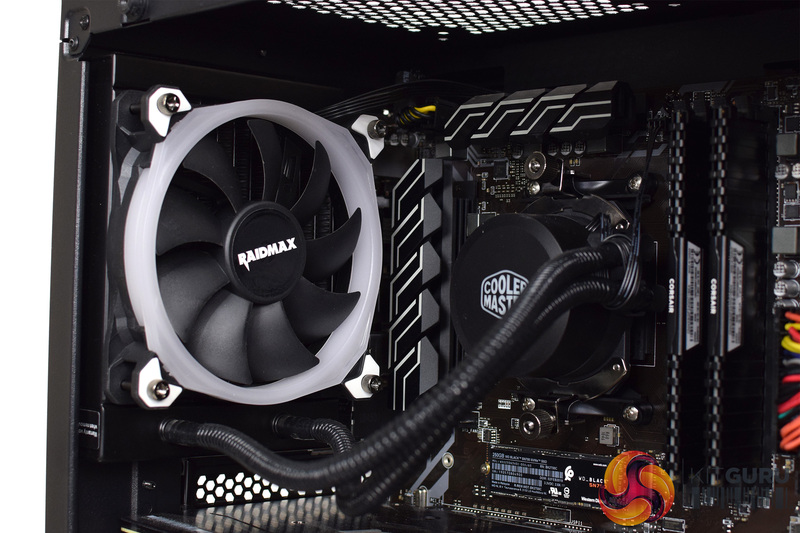 The proof is in the pudding as they say, and we will look closely at thermal dynamics later in the review. Other things to touch on include the Raidmax RGB setup. 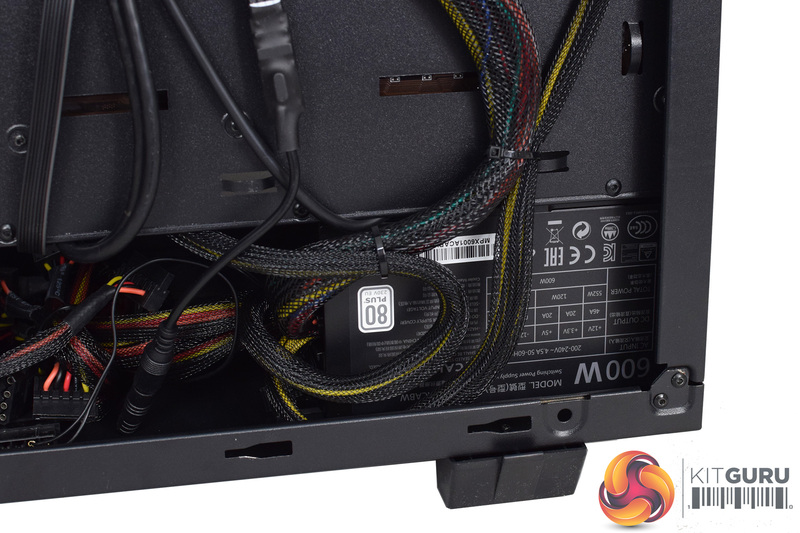 There are three RGB fans in the system, as well as one LED strip in the front and another in the roof. 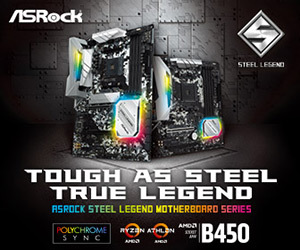 Rather than being controlled by the motherboard’s RGB header, though, there is instead a small remote control used for adjusting the lighting. That’s not necessarily a bad thing – though I think you’d be a bit annoyed if you lost the remote – but when I first received the system, the remote was only changing the colour of the front fan, and the other fans and LED strips would not change at all. 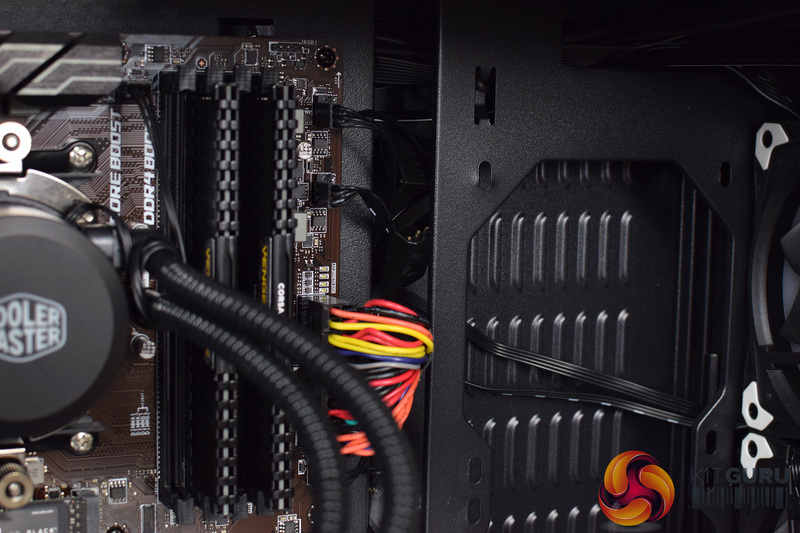 As it happens, two of the RGB cables had come loose behind the motherboard tray during transit. 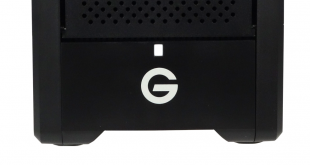 It was no problem for me to fix that, but it doesn’t instil a sense of confidence in the RGB system as a whole. 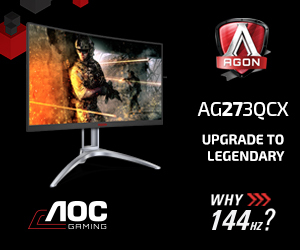 Someone who wouldn’t know what to look for and fix, for instance – the kind of person who’d buy a pre-built system instead of building it themselves – could well be left thinking the RGB just doesn’t work properly. 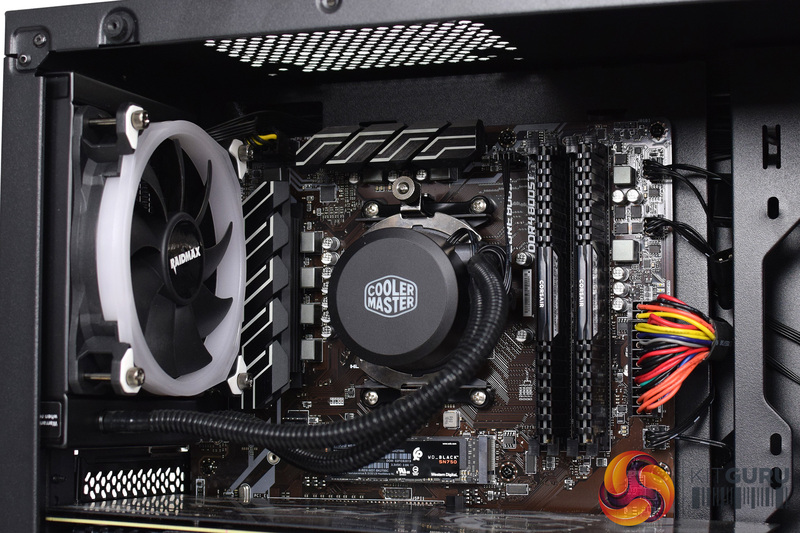 Of more importance is the choice of power supply – a Cooler Master MasterWatt Lite 600W 80+ unit. 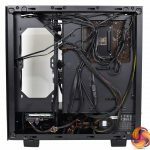 I’ve found it on sale for under £40, so it is quite a cheap unit, and only achieves 80+ White efficiency. 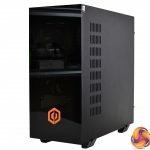 I have to say, in 2019 we would really expect an 80+ Gold unit in a system of this price. 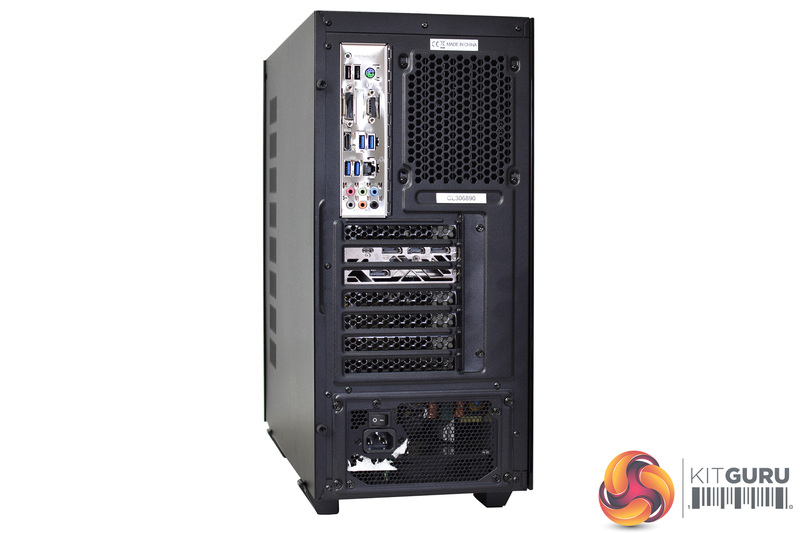 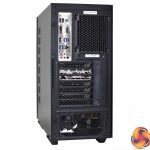 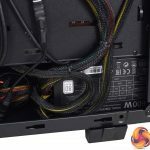 Cyberpower’s warranty covers parts for two years, so if you had an issue within that period they would be responsible, but even so – this is the type of PSU we’d expect to see in a budget system, not something that costs £1349. 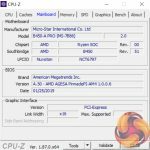 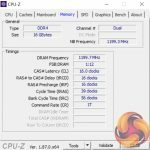 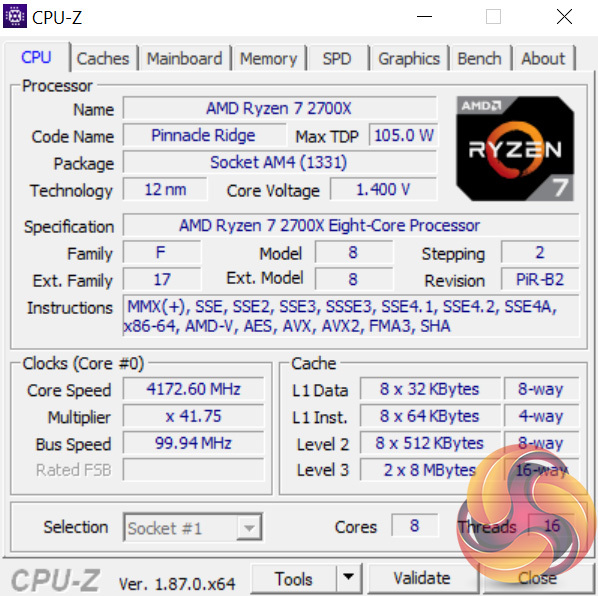 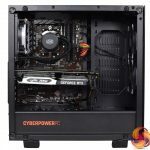 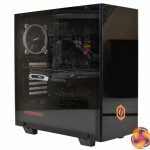 As for the core components, Cyberpower has opted for the Ryzen 7 2700X CPU. 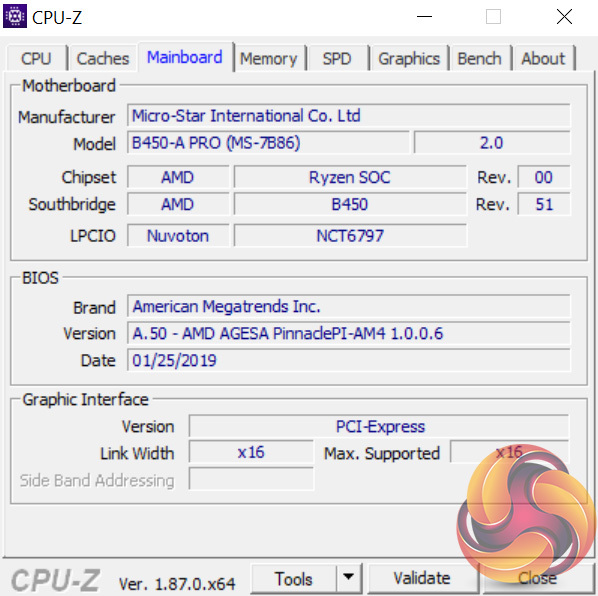 It has been left at stock clocks, meaning 3.7GHz base speed, but the MSI B450-A Pro will let you overclock the chip manually should you wish. 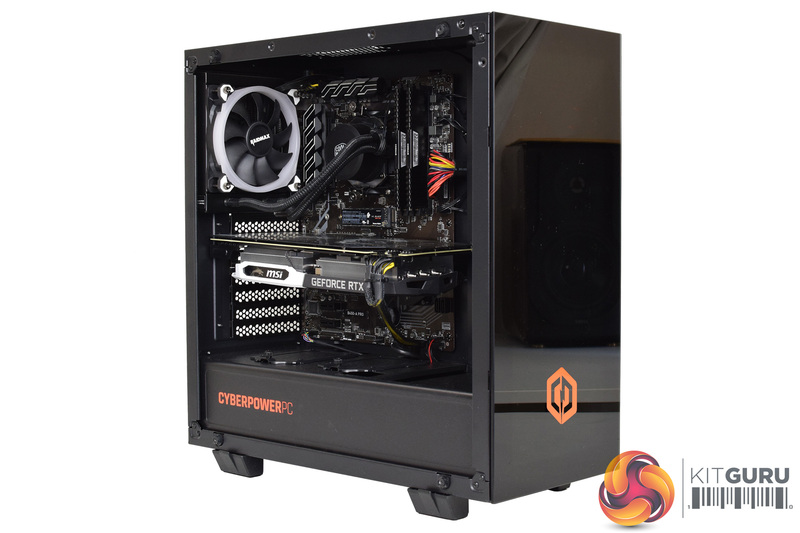 You can choose to get the CPU pre-overclocked on Cyberpower’s website, but at a £29 premium. 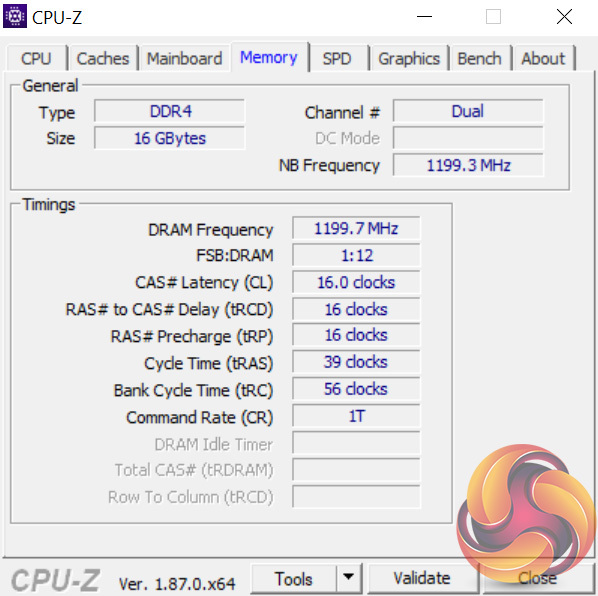 Alongside the CPU, we find 16GB of DDR4 memory. 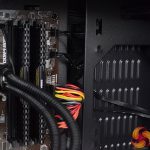 This specific kit is 2x8GB of Corsair LPX 2400MHz RAM, which struck me as a relatively slow speed to pair with Ryzen – the platform, as we know, scales well with faster memory. 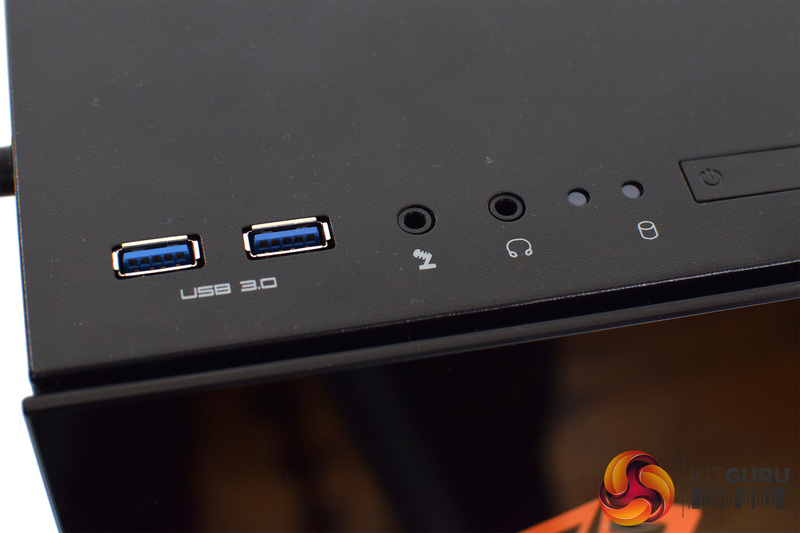 We look at this in more detail later in the review. 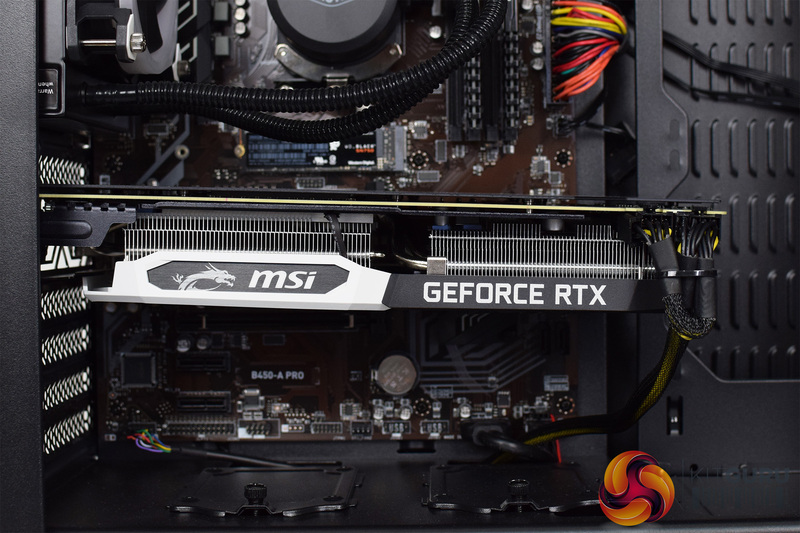 Lastly, our graphics card is the MSI RTX 2070 Armor 8G. 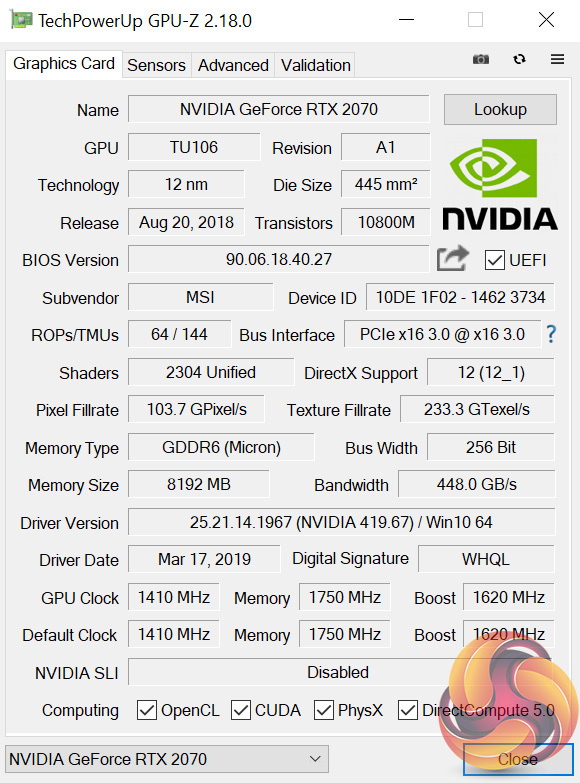 I have reviewed this card and it is a pretty simple RTX 2070, with not much in the way of added features, but it performs well and is priced quite attractively for a 2070. 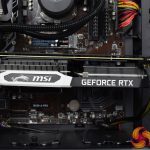 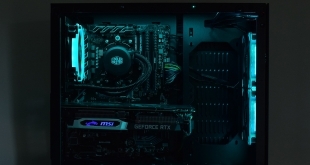 The card itself does seem to be displaying quite a bit of ‘GPU sag’ however, as you can see from the photos above, so an added support bracket would’ve been a good inclusion.